CU professor and LASP scientist Nick Schneider, together with three colleagues, have recently published the sixth edition of The Cosmic Perspective, a textbook used in introductory astronomy courses. The book covers a comprehensive survey of modern astronomy, from the universality of physics to our solar system and beyond. The book is used at CU and is widely adopted nationally. Schneider is responsible for the planetary science content in the book. Bennett, Jeffrey O., Megan Donahue, Nicholas Schneider, and Mark Voit. 2010. 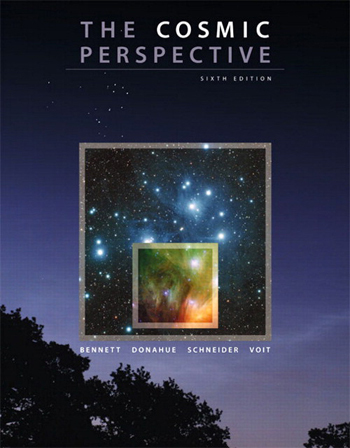 The Cosmic Perspective, 6th Edition. Addison-Wesley, ISBN-13: 978-0-321-63366-8.